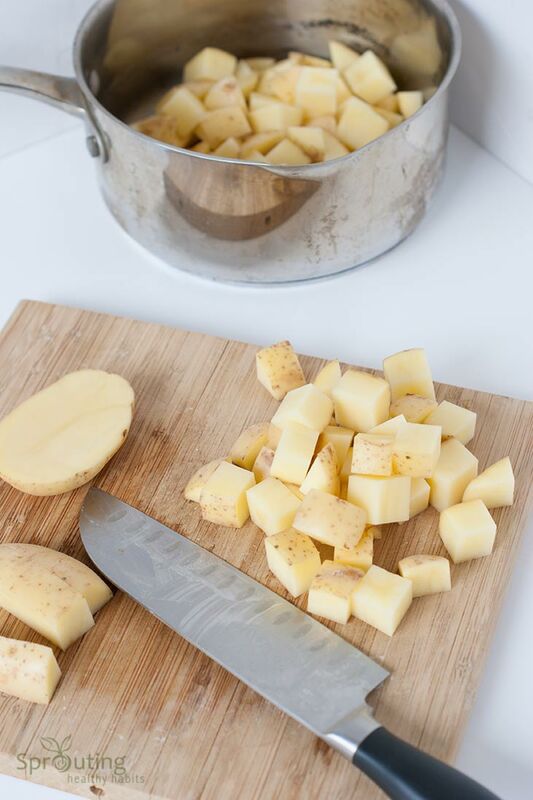 Potato’s may not work their way into many healthy living lifestyles on a daily basis. 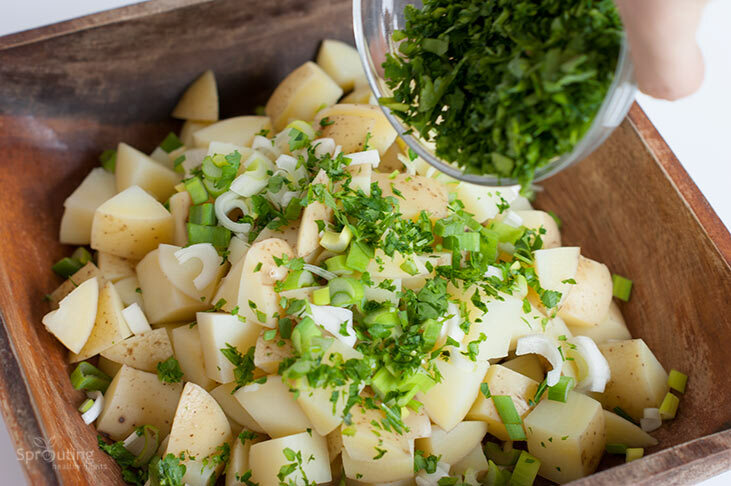 Although, when they do, why not opt for a healthier version of the common potato dishes everyone loves? Eating them on a daily basis and fried in processed oils definitely isn’t on the healthy side but, having them on occasion served or cooked in a healthier way shouldn’t be an issue. At least I like to think so, since potatoes can be delicious! 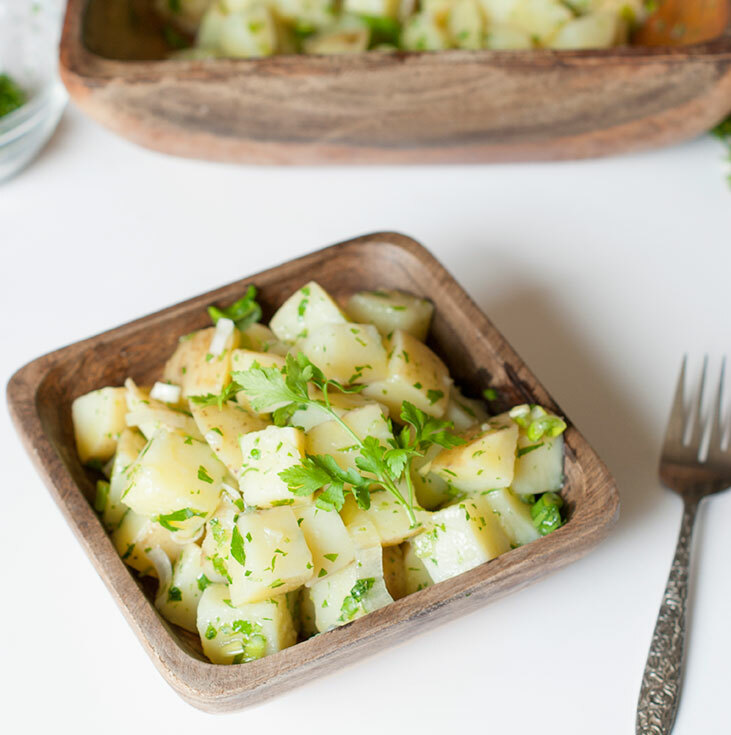 I think what makes most potato dishes unhealthy is how they are cooked, what they are cooked with, what they are served with, or the amount that is consumed. 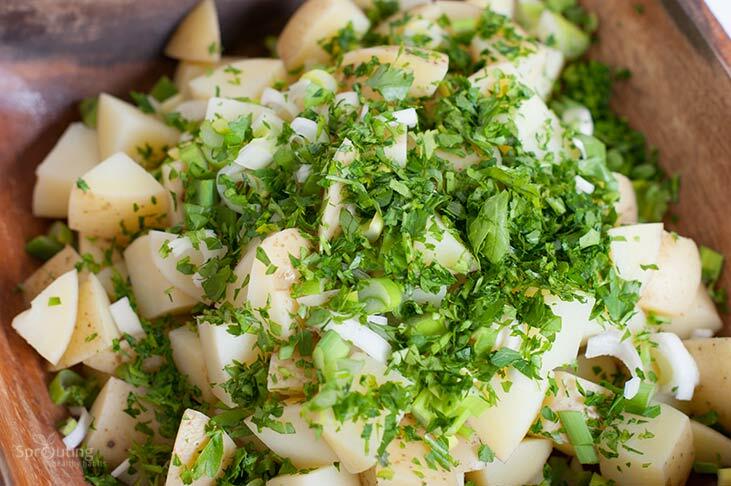 What comes to mind when you hear the words, “potato salad”? I think most people think of a creamy, thick potato dish with mayonnaise, eggs and other ingredients. For some reason I have never been a fan of the potato salads with mayonnaise and I tend to avoid them at parties. 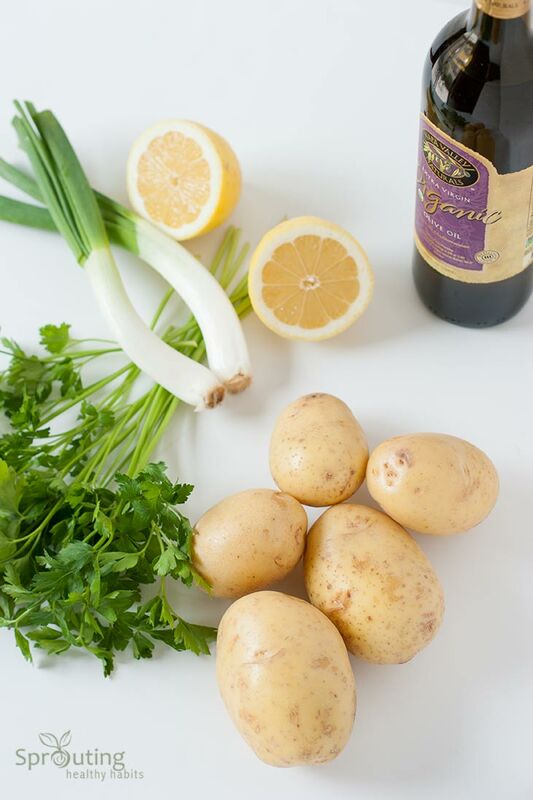 (no offense to those who like them) The “potato salad” so to speak, that comes to mind has always been this recipe. 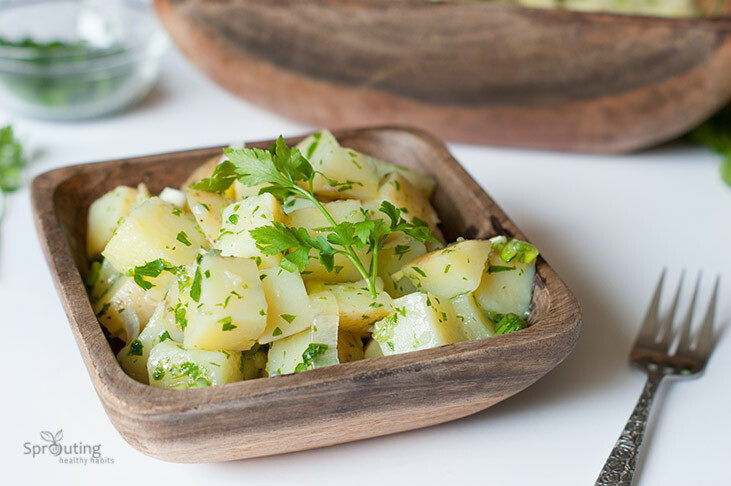 It’s a lighter take on potato salad and it tends to be a favorite on my Bulgarian side of the family. I learned this recipe from my mom and although I don’t eat it very often I love the flavor! My mom and grandmothers use vinegar, but my aunt uses lemons to give the salad it’s “kick”. It’s probably my love for lemons, but this dish just turns out so good with the fresh lemon flavor. Using a large spoon mix everything together while trying not to smash the potatoes. 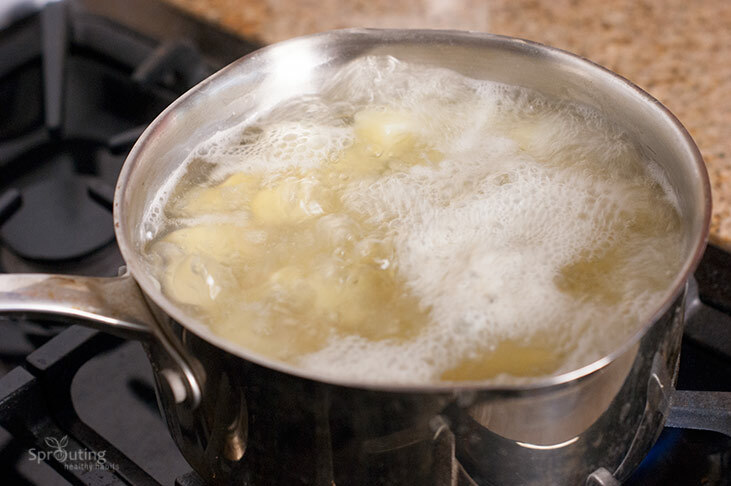 Bring potatoes to a boil and allow to cook on medium for 10-15 minutes. Make sure to check them often. 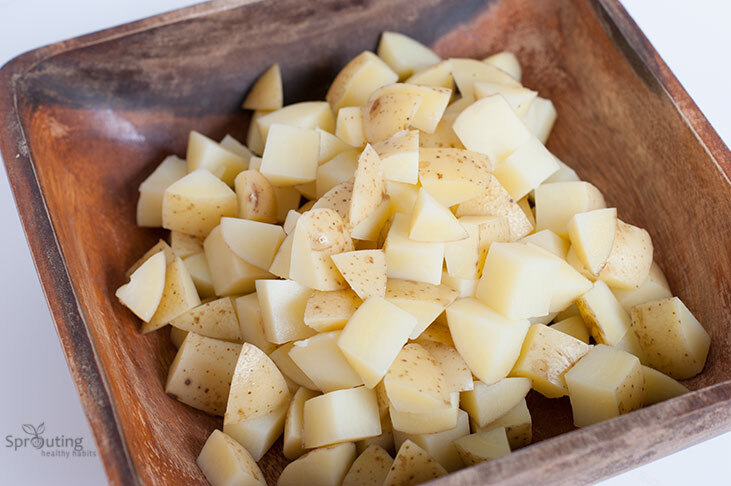 The potato should be cooked enough to eat but they should still look cubed. Once they are cooked too much they start to get mushy. Be sure to follow Sprouting Healthy Habits on Facebook and for more great salad recipes visit my soups and salads page.